Fred Wilson twittered that he was looking for these “I’m Free” remixes by The Rolling Stones. Can’t say I’m a huge fan of the Stones, but the remixes are by some hot artists — Postal Service, Hot Chip, Fat Boy Slim, and Moby. I did some research and found out they were released exclusively on iTunes. I happen to not have iTunes installed at this time, so I did a search to try and find an iTunes song search engine. No luck — I couldn’t find one. So here’s an idea for the taking — create an iTunes search engine. Sign up as an affiliate of Apple through LinkShare. Then I think to get access to Apple’s 6.5mm song data feed (download data feed spec doc), you have to pay $250 to LinkShare (which gives you access to product feeds from many of their merchants). You’ll then earn 5% of any sales that result from your iTunes search engine. Note: Don’t use ‘itunes’ in the domain you choose for this (you could use something more generic related to mp3’s or music — because then you could work to get a data feed from Amazon.com’s MP3 library, eMusic, and others like IMEEM, these new ad-supported free download sites, and in the near future we’re going to see other big players opening up DRM-free MP3s for sale — like Yahoo!). Further Note: 5% of a $0.99 track is only $0.05. You’d have to sell a lot of songs to make any real money from Apple’s affiliate program — however, you could complement your Site with display ads (much like Last.fm and Hype Machine do), as well as sponsored search results (from Google, or Validclick, or Searchfeed, etc). Great to see you posting again! I was actually thinking of something similar the other day after my wife was looking for that song on the new MB Air commercial. I did a search on Zune, Amazon, and finally iTunes before I was able to find it. 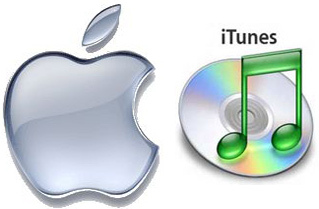 The killer app would be to go beyond just iTunes and search across several big-time music providers (Amazon, Zune, Napster, etc..) – but iTunes would be a good starting point. Damn, now I’m gonna be up all night writing a business plan…….. So, what good is an iTunes web search if you need to have iTunes installed to download the song? You would have to have multiple store offerings to have any sort of value. I just stumbled across this while searching google for similar things to what i’m in the middle of doing. I’m actually just about finished a website which does pretty much what is descibed above. This is only one function of the site. The main purpose of the site is to allow users to upload their itunes xml file…..the site then parses this and creates a nice expandable list of all their music which they can share with their friends (the list but not the actual files). Users can then click on the items on the list and it will search the itunes library and provide links to the itunes store and links to previews of the tracks. There will be a page on the site for specifically for searching itunes. As promised in my last comment….